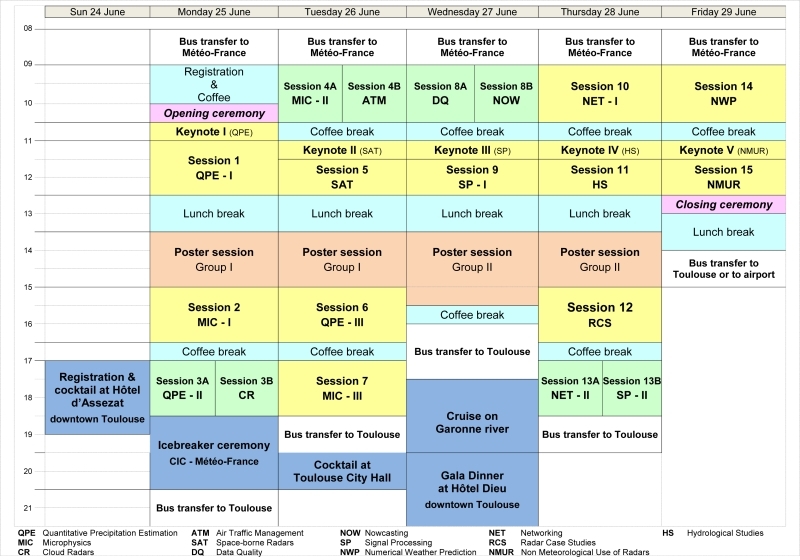 The 7th European Conference on radar in Meteorology and Hydrology (ERAD) will be hosted by Météo France in Toulouse, France, from 25th to 29th June 2012. The initial intent of ERAD, which has been perpetuated since its first edition in 2000, was to create an open forum between students, academics, engineers, end users and operational radar operators working with or using weather radars and weather radar data. The goal of this conference is to facilitate mutual understanding between data producers and data users and to help young generations of scientists accessing state-of-the-art knowledge on radars. ERAD 2012 intends to pursue this objective and to help foster creativity, sharing and communication by bringing together all radar communities. and the extended abstracts !